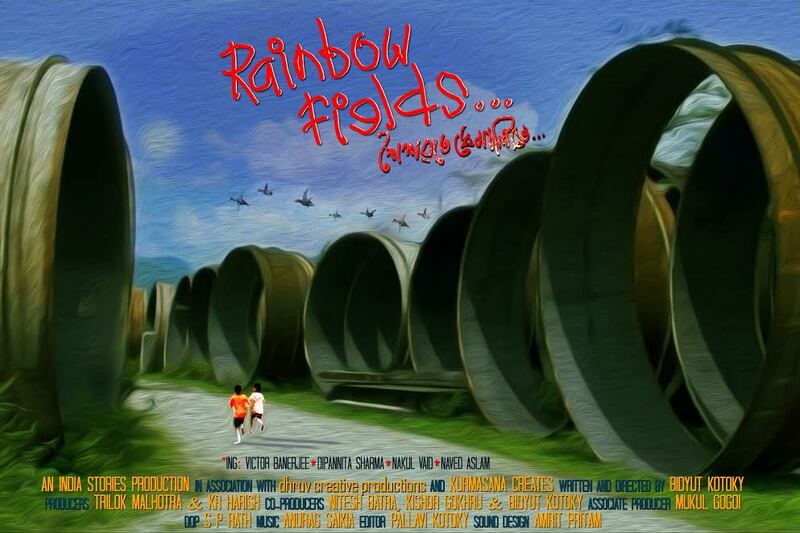 The music of Rainbow Fields or Xhoixobote Dhemalite, an acclaimed Assamese language feature film, was released on Thursday in Guwahati. The film made by national award winning filmmaker Bidyut Kotoky has received accolades across the globe besides being screened at the prestigious International Film Festival of India (IFFI) in Goa last month. The music of the film is composed by yet another national award winning musician Anurag Saikia. The songs are sung by Zubeen Garg and YouTube sensation Nilotpal besides newcomer Dipakshi. The film deals with the turbulent period of 1980s when the state was rocked by Assam Agitation. The director has tried to narrate the traumatic mental condition of children growing during that period. Incidentally, this is the first Assamese film album to be released by Sony Music. Poran Borkotoky from Dhwani records, who along with Sony have the exclusive distribution rights for the album worldwide, shared his excitement about the launch since this was Sony Music’s first film music album released in Assamese language. Music director Anurag Saikia also shared his journey with the album and how creatively he had to dig deep into himself to come up with the music that reflected the spirit and ethos of the film. The film features veteran actor Victor Banerjee besides artistes from Mumbai including Nakul Vaid, Naved Aslam as well as Assamese actors Nipon Goswami and Nikumoni Barua. Mumbai based supermodel Dipannita Sharma has also starred in the film. The supermodel-actress has made her Assamese movie debut withXhoixobote Dhemalite.